View the entire table of contents for the Oct. 15, 2014 issue. Why go to the trouble of making and selling fake wine when you can convince other people to let you sell their real wine and pocket the cash? The founder and former president of an online auction house stands accused of just that. California prosecutors have indicted WineGavel founder Joshua Krummenoehl, charging him with 12 counts of grand theft by embezzlement, amounting to more than $500,000. From Wine Spectator's Robert Taylor, with reporting by MaryAnn Worobiec. 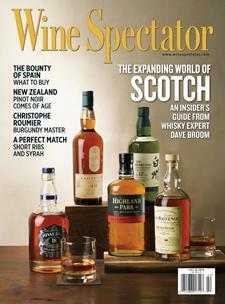 For the full article, check out the new issue of Wine Spectator, on newsstands September 16, 2014.